I know this isn't a ride but I wanted to give a heads up to my buds on CDSR. I went to this event last year and had a great time. Dirt oval track motorcycle racing baby. If it's anything like last year, be prepared for cold weather. See you there! Roger: Thanks for the tip. I didnt even know this was happening. I went years ago & it was a blast. I am going ! Thanks again. We went to the races & had a blast. They started at 5pm & ended at 10. They had vintage flat track races with a 48 Indian & a couple of Harleys. WOW I was surprised at how fast they went. In addition they raced quads from pee-wee to pro & flat track & Motocross on the interior part of the track. And for kicks & grins a "Hooligan" race was thrown in that included "ride what ya brought" that included a Chopper & 2 full dresser Harleys one of which went down in turn 4. That had to hurt not only monetarily but from the bruises too. Thanks again Roger for the tip. dusty rock nice wheelie who took that photo ? 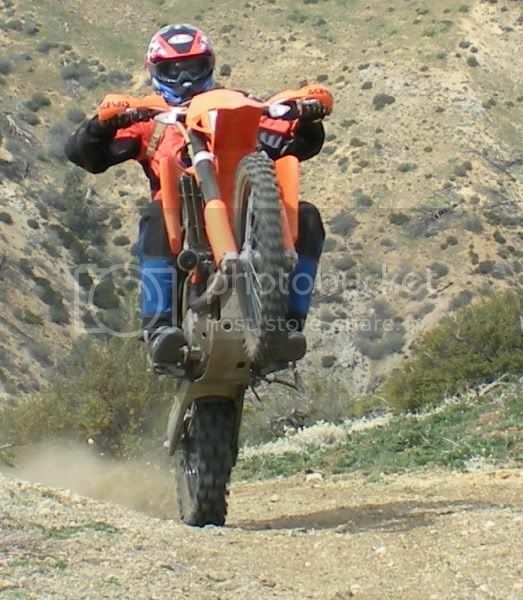 AXO Dude wrote: dusty rock nice wheelie who took that photo ? It was Jo. Very good camera work my compliments. I am getting antsy to go riding. See you at the races. Should be a great time. Just a reminder - this Saturday the 19th at 5pm the last flat track MC racing of 2009 at VCR. Lots of fun for all. See you there.